Hillary Clinton had the opportunity to bow out gracefully after losing the presidency to Donald Trump, but instead, she chose to go on tour talking to anyone who would listen to the plethora of excuses for why she lost. She did interviews with the mainstream media touting that she won the popular vote and would have won had Russia not intervened, James Comey not reopened the ‘matter’, and blasted the “godforsaken electoral college” that she believes helped Donald Trump win the presidency. She decided that was not enough and wrote a book called, ‘What Happened,’ assuming that people needed more of an explanation. It became apparent that Hillary is the only one who does not know what happened. Now just how many people, organizations, bodies and concepts she has blamed can be revealed by DailyMail.com: 41 and counting. 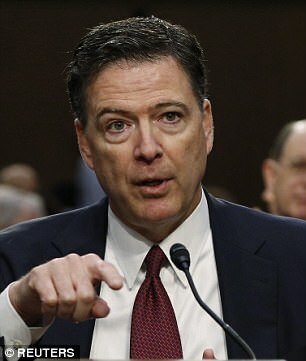 It covers grudges large and small: as well as her much-mentioned bete noire James Comey, Clinton has found time to cast up grievances against everyone from Bernie Sanders ‘bros’ to Democratic documentary makers – as well as women’s male bosses, and husbands, fathers and boyfriends. And given that she has only just started a promotional blitz for What Happened, her memoir of losing, that list could keep growing. Enemy number one: Clinton has repeatedly named James Comey as the reason she lost. She added: ‘I was just dumbfounded. I thought what is he doing? It stopped my momentum, it drove voters from me. ‘Independent observers such as Nate Silver say, yes, but for that intervention I could have won. That was the most important factor. 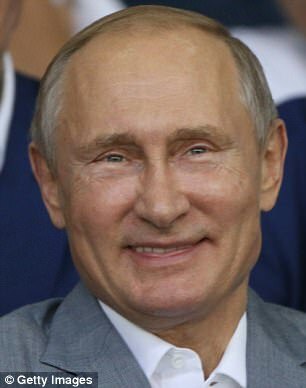 ‘There’s no doubt in my mind that Putin wanted me to lose and wanted Trump to win,’ she told USA Today on Monday. ‘You put yourself in the position of a low information voter, and all of a sudden your Facebook feed, your Twitter account is saying, ‘Oh my gosh, Hillary Clinton is running a child trafficking operation in Washington with John Podesta.’,’ she told the Codecon convention in May. ‘I believe absent Comey, I might’ve picked up 1 or 2 points among white women,’ she told Vox on Tuesday. And she has used a series of interviews to advance the theme, telling the Pod Save America podcast that she behaved better than Sanders when she lost to Obama in 2008 by conceding when she knew she couldn’t win. ‘Once it was over, it was over and I quickly endorsed President Obama,’ she said. ‘I didn’t get anything like that respect from Sanders and his supporters. ‘When you have a presidential campaign and the total number of minutes on TV news, which is still how most people get their information, covering all of our policies, climate change, anything else was 32 minutes, I don’t blame voters,’ she told The View on Wednesday. ‘They don’t get a broad base of information to make decision on. Among her many criticisms of the media generally is an attack in What Happened on anyone publishing leaked material. ‘American journalists who eagerly and uncritically repeated whatever WikiLeaks dished out during the campaign could learn from the responsible way the French press handled the hack of Macron,’ she writes. Now president Macron had a massive tranche of his emails hacked and released shortly before the French voted. Many outlets did not report on their contents. ‘Lauer had turned what should have been a serious discussion into a pointless ambush. What a waste of time,’ she writes in What Happened. Her anger grew even more as she watched as Lauer ‘soft-pedaled’ Trump and failed to go after him as aggressively. Clinton writes: ‘Trump should have reported his performance as a contribution in kind’. On Wednesday Clinton told the Today show: ‘Take the Benghazi tragedy – you know, I have one of the top Republicans, Kevin McCarthy, admitting we’re going to take that tragedy – because, you know, we’ve lost people, unfortunately, going back to the Reagan administration, if you talk about recent times, in diplomatic attacks. Suppressing hr voters was named on Wednesday by Clinton as one of the major factors in her defeat in her interview with Matt Lauer and Savanah Guthrie on the Today show as she rattled off a laundry list of grievance. ‘What was at work here?’ she said. 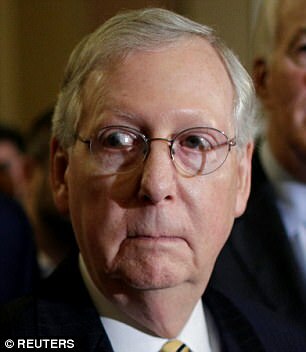 ‘Mitch McConnell, in what I think of as a not only unpatriotic but despicable act of partisan politics, made it clear that if the Obama Administration spoke publicly about what they knew [on Russia], he would accuse them of partisan politics, of trying to tip the balance toward me,’ she told the New Yorker Wednesday. And she told Vox that the men had taken the Comey letter and convinced their partners not to vote for her. ‘You know, all of a sudden, the husband turns to the wife, ‘Pshh, I told you she’s going to be in jail. You don’t want to waste your vote’,’ she said. The pervert husband of her aide Huma Abedin is likely to go to prison – but Clinton has said zero to blame him for losing. If he had not been sexting an underage girl, the FBI would never have stumbled across the cache of Abedin’s archived emails when they seized his computer and Comey would not have re-opened the secret server investigation. 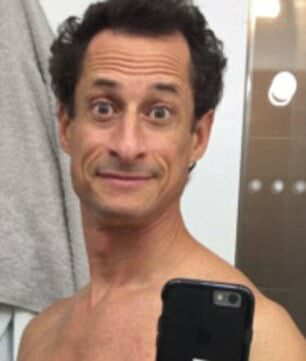 DailyMail.com revealed the serial sexter’s texting ‘relationship’ in September, and Weiner will be sentenced later this year. Prosecutors accepted a plea deal and are urging that he receive a prison sentence. Weiner wants to avoid jail time, claiming that he is changed and that he will deal with his demons on probation. Abedin is currently divorcing him and they appeared together in court in Manhattan Wednesday, hours after Clinton’s confidante had watched in the studio as the presidential loser list her grievances on The View.